SW: Shadia Kanaan – The Palestinian / Israeli Peace Process. Please join us for Shadia Kanaan’s presentation: Tell me what you think: The Palestinian/Israeli Peace Process – A Process Without Peace. Shadia will discuss her work on behalf of increased understanding of the Palestinian/Israeli conflict and her efforts to support a peaceful and just resolution of that conflict. Coffee and refreshments will be served.  If you have any questions or suggestions for future topics please contact the group coordinator – Jeannine Shafer at 269-329-1052 or email jshafer@centerforinquiry.net. Shadia Kanaan is an American Palestinian Arab who was born in Nablus, Palestine in 1947. She was schooled in the Quakers Friends Girls School in Ramallah , Palestine and the Rosary College in Amman , Jordan. She graduated with a BA degree in 1969 from the University of Jordan in Economics and Public Administration. She is married to Dr. Azzam Kanaan, a neurologist who is practicing in Kalamazoo, Michigan since 1975. They have four sons. Shadia pursued a Masters degree in Political Science and graduated from Western Michigan University in 1997. Shadia is active in the Peace movement in Kalamazoo. She is a member of the KNOW, Kalamazoo Nonviolent Opponents to War, The Kalamazoo Interfaith Coalition for Peace and Justice and is a cofounder of the Kalamazoo Women in Black. She works relentlessly to bring understanding to the Palestinian /Israeli conflict and advocates for a peaceful and just resolution of that conflict.